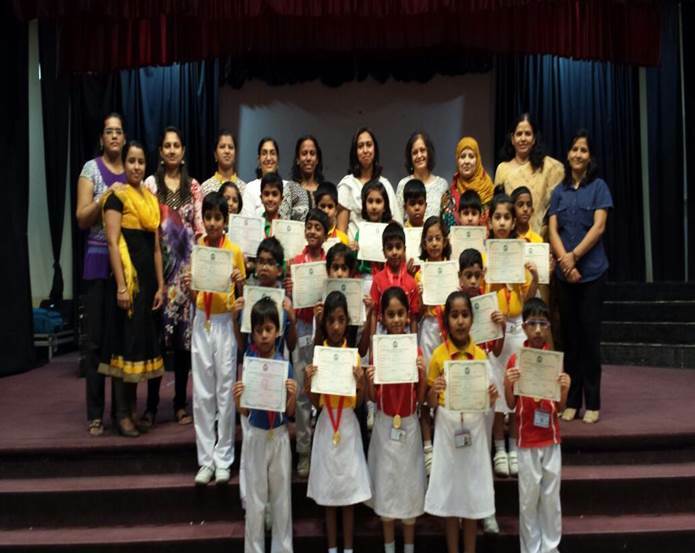 Our brilliant angels put in their best effort and many were high achievers in the Math and Science Olympiad held in the month of January, 2015 achieving above 90% and winning medals. These “Shining stars "were awarded medals and certificates in the assembly for their outstanding performance. 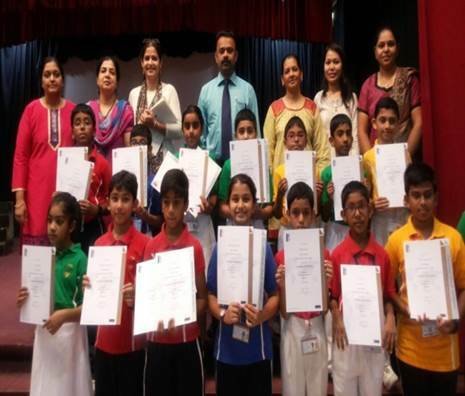 International Benchmark Tests is an internationally administered program of assessments conducted by Australian Council for Educational Research for the core subjects. 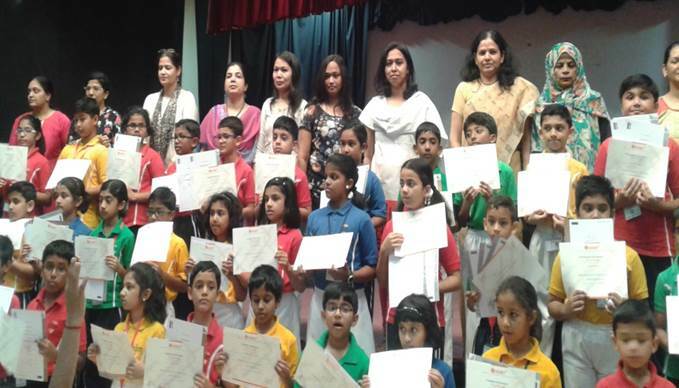 Many of our students achieved high distinction and distinction in Math, Science and English. 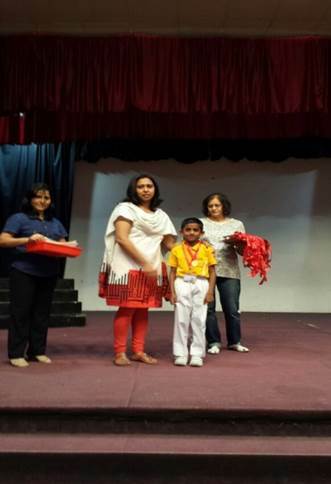 Two students from Grade 3 were awarded for scoring the highest marks in Mathematics. 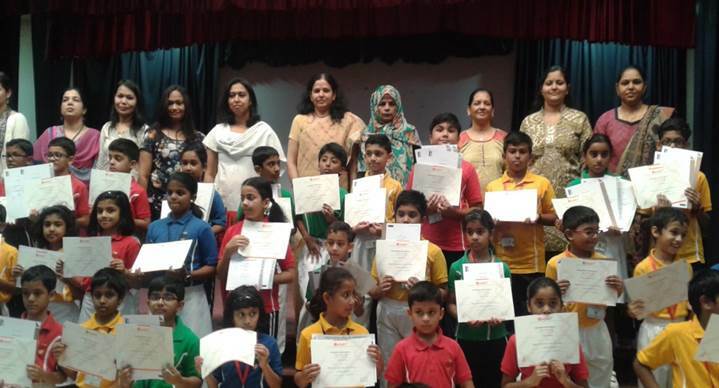 Students were awarded certificates for their outstanding performance in IBT. ASSET is a scientifically designed, skill based assessment test. 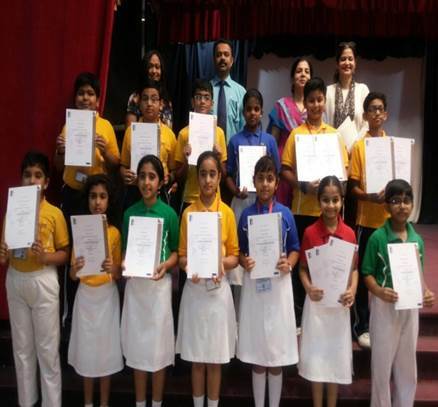 Students made remarkable achievement by scoring an overall outstanding performance in ASSET Winter Round 2014 . 23 students achieved an overall distinction while 51 students scored creditable overall performance. 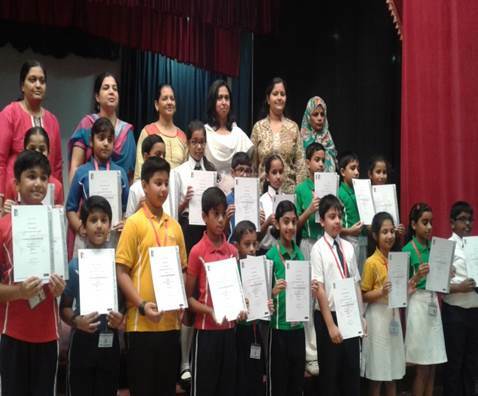 Students were awarded certificates for their outstanding performance. 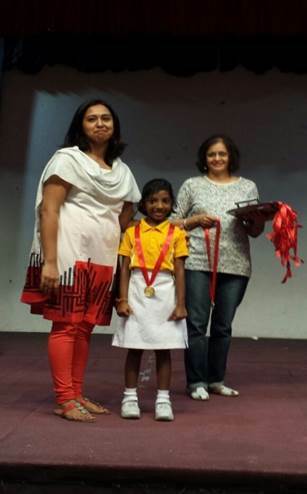 Neha Faisal of Grade 3 was awarded a trophy for securing highest mark in the Assessment.